Hauskaa lauantaita, tervetuloa Allsorts haasteen pariin! Kylmän huurteisia sävyjä halutaan viikon aiheena, sinisiä, liloja, valkeita ja hopeita, mustaa saa käyttää leimaamiseen. Malli on Kookoo haasteesta. Hi; Happy Saturday, it's time for a new Allsorts Challenge! 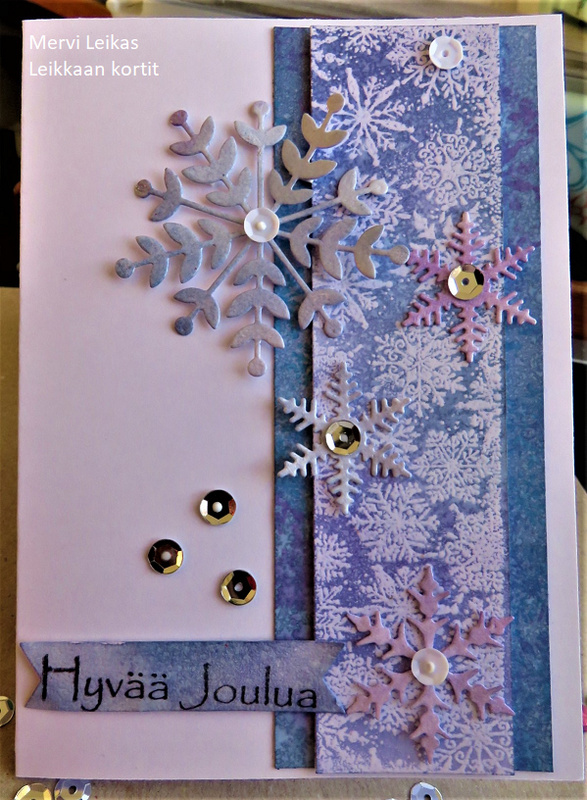 Our precious Brenda's theme is " Cold and Frosty colours" : blues, white, silver, lilacs, black only for stamping! 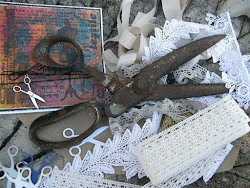 Our sponsor is Crafty Ribbons. Two white panels, Distress Oxides, water spray, snowflake stamp (Viva Decor), embossing powder, clear. 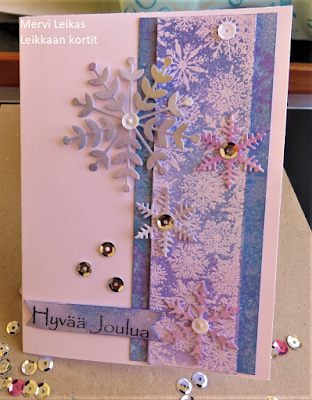 Stamped "Merry Christmas" cut out with Sizzix die. 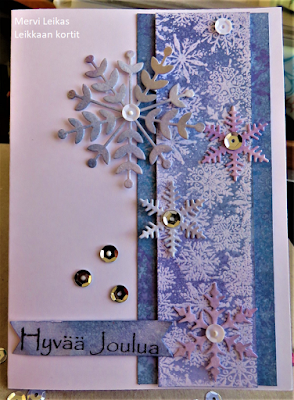 Snowflakes coloured with DO's and embossed too, just few sequins added. It's the same card, in different lights, very challenging time to take photos! Really beautiful card, a super design with some great elements. I love this creation Mervi, brilliant! A perfect creation for this weeks theme Mervi, thank you. Oh, my, this is a beautiful card. Your colors go so perfectly with the beautiful snowflakes. Thanks for joining us at CRAFT Challenge!